Posted on October 1, 2008 at 11:57 am. After an afternoon spent hopping through the villages of Sapa, we went back to town and had a wonderful food find. Just at the back of the public market is a new bali inspired restaurant and lodging where we tried an ala mode carrot and banana cake with home made ice cream. Their carrot cake was one of the best we tasted. Went back to our lodging for a short rest for dinner. Tomorrow we’ll head back to Lao Cai in the afternoon and the next day would be our last day in Vietnam. It was rainy that morning that we decided to forgo the plan of visiting other attractions. Instead we stayed for breakfast at Ban Mai Inn just across the bus station. They have really good food and their native mountain mushrooms were the best we had tasted. We befriended the owner and bought a kilo of those mushrooms home. Close to lunch we took a few shots of the misty covered plaza just in front of the church. By afternoon we checked out Pinnochio Hotel and took their van service heading to Lao Cai. They had to fill up the Van first which took rather an inconvenient amount of time. We descend the village and humidity started rolling in at the lower planes of Lao Cai in an hour. Checked with Pho Café on our reservations and finally got our train tickets. It was a good decision on our part since all train tickets were sold out by that time. Had dinner at the cafe and went to the station when it’s close to departure time. There were a couple of foreigners there asking about their tickets. They were really relieved that they found out that we can speak English. They had trouble about their reservations but we couldn’t help more. Our berths were slight smaller than the last one we had but this is much cooler and comfortable. The train ride went smooth. Soon we found ourselves in Hanoi pass 4am. Since it was early morning and our flight is late at night, we decided to find a lodging where we could rest. We found Lotus Hotel at the Old Quarters with reasonably priced rooms. Traveling all the time can be exhausting that’s why on this last day we tried to catch up on rest. At the old quarters, we had lunch at Little Hanoi, sampling their food fares and found their desserts really good. Got convinced by a few locals to buy some shirts and salakots. After much haggling they gave in on a very good price. After lunch we stayed the whole afternoon around Hoan Kiem lake. 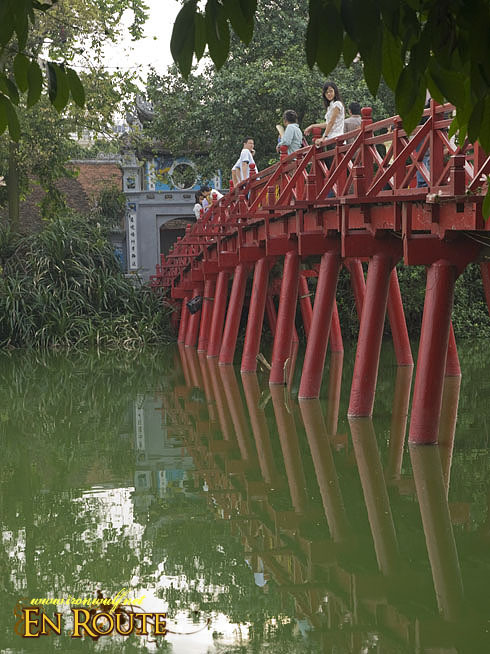 Named after the most popular district in Hanoi, Hoan Kiem. 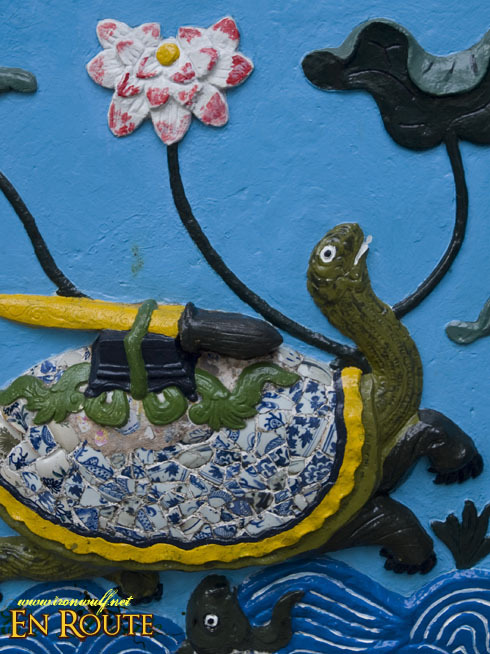 Legend says that way back in the 15th century a magical tortoise gave Emperor Le Thai To a magical sword that helped him repel the Chinese invaders that time. After the liberation of Vietnam, the tortoise snatched the sword back and disappeared into the lake. 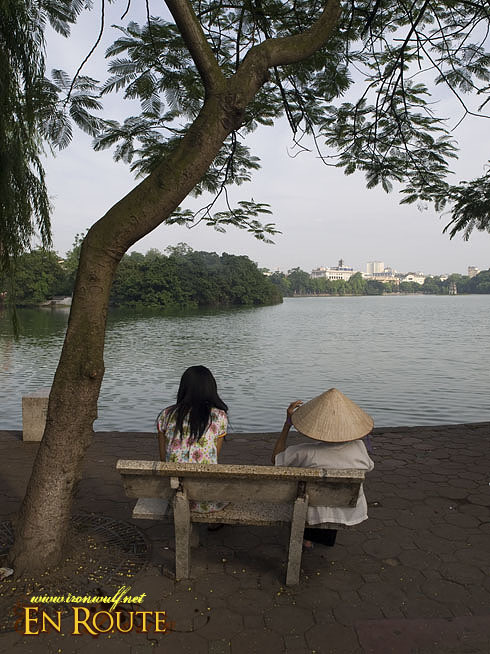 Hence the name Ho Hoan Kiem which means Lake of the returned sword. Until this day, people still believe the tortoise still resides within the lake and there were so called reported sighting of this magical creature. 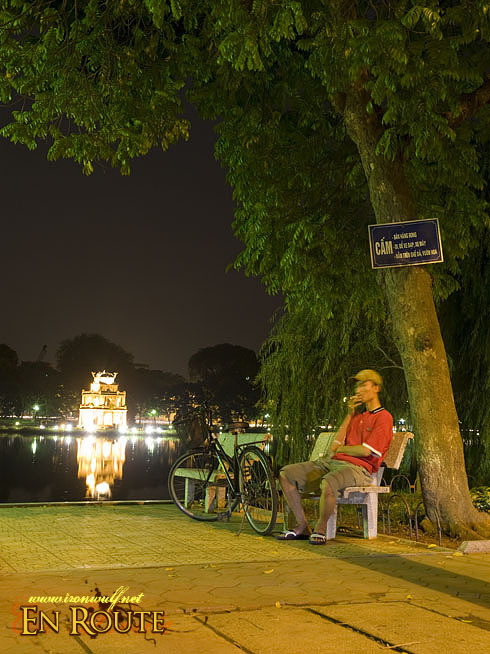 Hoan Kiem Lake is full of life from afternoon to night. From families having picnics, people practicing tai chi or simply hanging out enjoying the relaxing ambiance. There are eateries nearby. For our last dinner before we left Hanoi, we tried Huo Guom Café where we ordered their pastas and pizza pretty good while dining al fresco. Soon we took a cab back to out hotel since we’ll be leaving for the airport in an hour. By 8 in the evening we were off to the airport with a taxi hired from our hotel. It was a fast drive to the airport and soon found ourselves in Noi Bai Airport short 30 minutes later. Bought some pasalubongs from the aiport’s duty free and waited for our 1am flight back to Manila. This caps off our Northern Vietnam Adventure. wulfriend, parang kelan lang itong trip na ito. 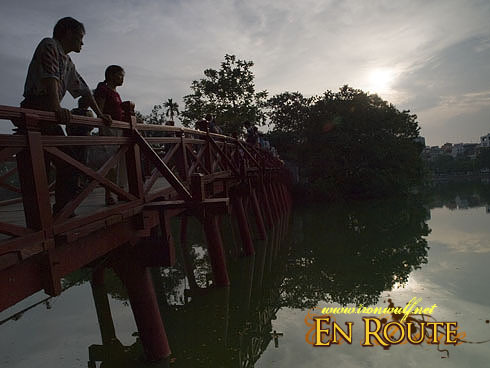 thanks for sharing the fascinating lore behind the name of hoan kiem lake. Outstanding photos again. Funny how you got locked out of your hotel. Don’t they post signs about the time they close up? Vietnam is really one of the biggest destinations nowadays. how many times have you been in Vietnam? I want to go there in the future. 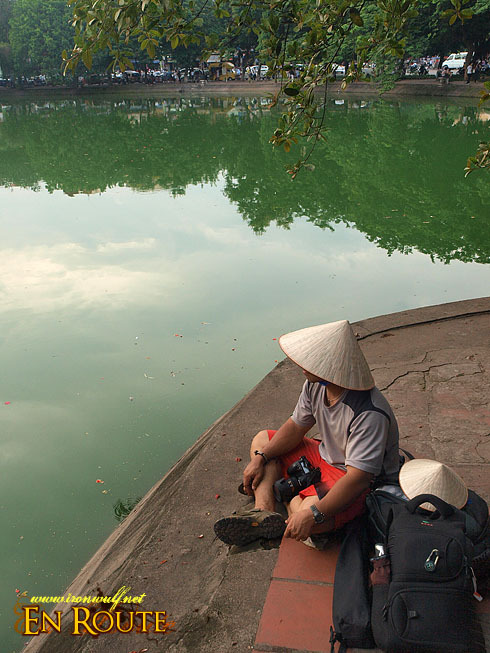 Is there much difference between North and South Vietnam? I’ve only been to Saigon and Nha Trang and very briefly at that. always beautiful and always sharp. thank you for the journey. great job. Ei Oggie, I feel this entry is a bit rushed to conlusion though. 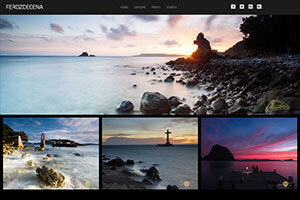 But will write about the other stuff in detail on our upcoming project. Thanks Ron! Do drop by again. Nope they don’t Photocache. Most of the establishments and hotels were already closed at that time which I think is a regular practice. People sleep early much like our provinces. That’s the 2nd time I’ve been to Vietnam Paoruiz. The first time I went there was in Central Vietnam. It’s a nice country to explore. I haven’t been to Saigon BertN but from what a few friends and contacts have told me, Saigon have more high rise buildings and looked more developed whereas Hanoi mostly have low rise structures since they are preserving the old charm feel of the Old Quarters. That’s a different story from the Central part as well. Thanks Oman, that caps off the Vietnam Chronicles for now. I like the photo of the Hoan Kiem masks. 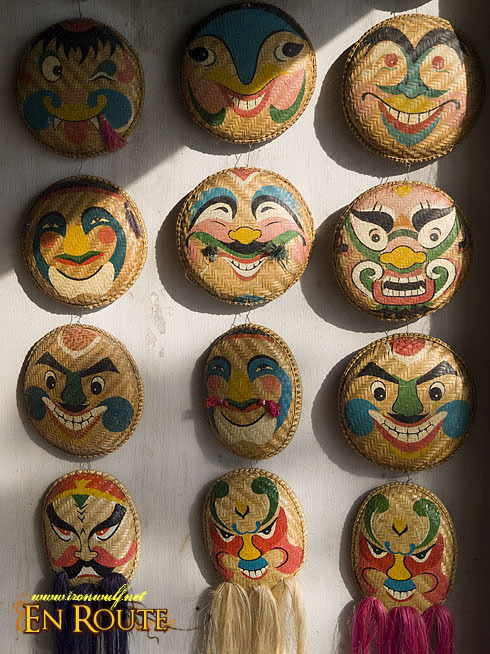 They remind me of the Chinese opera masks. ang galing. 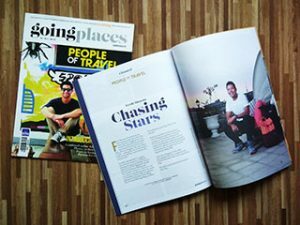 si oggie na naman ang model mo dito. ganda sa vietnam. kahit ano, pwede gawing subject. paborito ko sa set na to ang picture na naglalaro ng chess. Thanks Kyels, I was amused by how the lights fell on those mask making their colors more vibrant. I also like the human expressions on that chess picture. 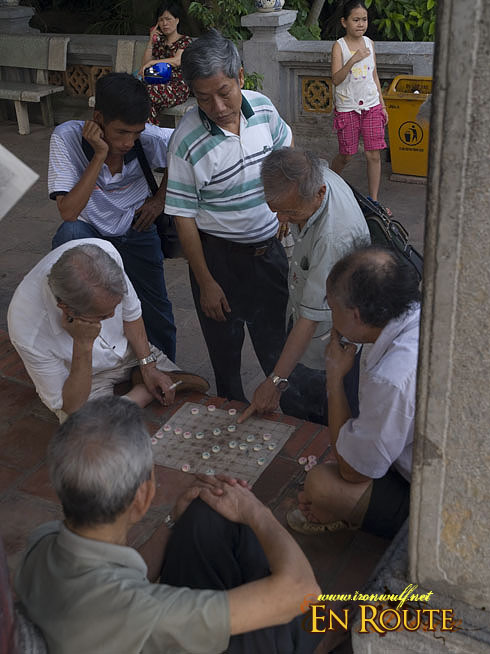 It seems the spectators are thinking as hard as the players are. Thanks Dom! parang sa Pilipinas lang ung scene na may nag dadama.. katuwa..
I’m going to be in Vietnam next year but only for 5 days (in reality just 3 full days because of the late arriving flight and the early morning departure), I was thinking of either going to Sapa or Halong, which one would you recommend based on my short stay? Thanks! 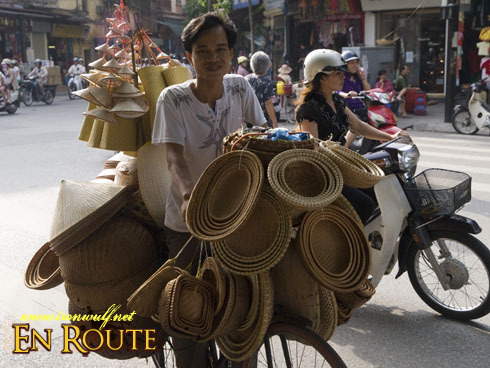 one more thing would you recommend an overnight Halong trip or the day trip would suffice? Thanks!